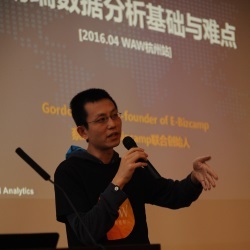 Over the recent years I have spoken in a few Internet conferences including WAW China, Clickz Live Guoping’s private events. In between some events are actual workshops in which I trained people on web analytics and search engines. How to become a Data Analyst in the Mobile Internet Era? And finally, spend your time doing something useful! The scope of mobile analytics should include both HTML5 web and mobile apps. Google shared a report with data showing within all mobile users (including users accessing HTML5 websites and mobile apps), 81% e-commerce users preferred completing transactions on mobile apps, 60% preferred comparing product prices on mobile apps, and 59% preferred searching product on mobile apps. Cookies, IDFAs and AIDs can be inaccurate. For each browser or each machine a person uses, he/she gets a unique (or new) cookie. IDFAs and AIDs can be manually reset by users on their mobile phones. You can segment your mobile users by any of the metrics including operating system (OS) versions, device models, screen resolutions or your mobile app’s version numbers. Your mobile analytics tool must be able to take care of users coming through deeplinking. i.e. A user clicks on a Google or Baidu organic search result which is a HTML web page, but is automatically redirected to the corresponding “screen” of your mobile app. Expect Baidu’s mobile searches to have exceeded web searches by the end of 2015. 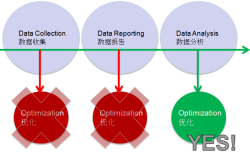 Create strategy, develop mobile friendly website and set up SEO analytics for your online business in China. Develop multiple websites for desktop and mobile. Develop a single website that is implemented with responsive design principles. Monitor and improve your mobile website’s loading speed. Monitor your SEO performance: Build your SEO dashboard reports and daily/weekly reports. Drill further down into your SEO data if it is required for full analysis. 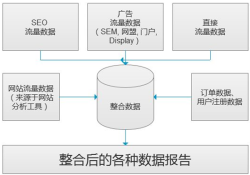 How to Leverage Mobile Search Traffic in China? A real case with real web data of a non-profit organization (based in China) was demonstrated. Browsers, screen resolutions, operating systems, mobile network operators and mobile phone brands are all important factors to considered for the Chinese mobile search market. It is important to develop a full set of SEO analytics reports in order to understand the behavior of your mobile users. I have shared my views and some cases for China’s many exporting businesses on how they can make good use of Google AdWords, why mobile search is important and how mobile search traffic can be leveraged. Why search engines are important for your online business? Set up your PPC marketing strategies for your own markets or for multiple markets. Research keywords for your business. Write compelling ad copies that can sell your products. Mobile PPC: What is new? The auto bidding and management systems that is suitable for your business. Tools to track social media include: Google Analytics, URL shorteners, and social influence measurement tools.